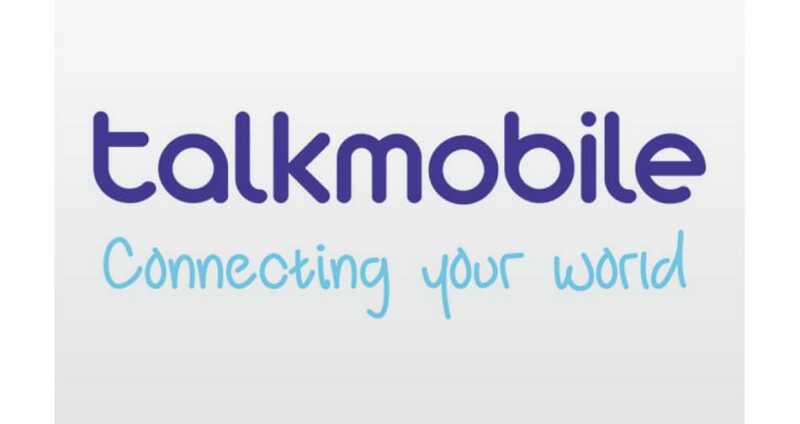 Talk Mobile is a MVNO (Mobile Virtual Network Operator), which is owned by Carphone Warehouse, and in the UK it runs on the Vodafone network. If you have no Talk Mobile signal or have any other problems at all, then let this be your status checker page to see if others are having the same issues. Some of the main issues include Talk Mobile login problems, weak or loss of signal, data not working or the website being offline. Maybe you are having billing problems, whatever the reason this is the page you want to be on to list or find any inconveniences with the service. Are you having Talk Mobile login, account, website, coverage, Internet or billing problems? With many different tariff plans on offer some customers may not be happy at all with the service they are being provided. Please read below for recent problems, or add your own if you are having any. If Talk Mobile is down today, then reports will be found below. No network in Swansea why is this anyone else experiencing this ? No network today, whats going on?? I have no mobile service since Friday lunch time. It was supposed to come back on today, 27 June,but nothing yet. The warning fault states “Not registered on network”. Is anyone else experiencing same issue? I’m located in West London. I have no signal since Monday what’s happening?? i have signal to my talkmobile but can’t call out of text anyone. what’s going on?? I have had no signal since this morning. I checked the Vodafone website and they are doing maintenance in my area (LL36 0) and there may be disruption until Wednesday. This is unacceptable to be without signal for 3 days!!!!!!! My talkmobile sim is not working but my vodafone is?!?! tried swapping sims between the handsets but same result with both. How can this be possible?!?! Reading area. I live in Bristol, and I was in Reading yesterday… both places had the same problem. Only the occasional text was sent successfully, but several important texts consistently failed. This hasn’t every happened to me before, but it is extremely annoying – and the website is worse than useless in terms of help. I have had consistent loss of signal at home in the DT5 postcode area since the weekend 16/17 July and suffer random losses of signal/connection for texting/calls generally in the evening time at home. Tried looking up TalkMobile’s website and calling them but it’s all useless, doesn’t give the answer you want or they don’t answer the phone. I’m tied in to my contract for another year and hate it. No data signal all day in the remote outpost of Crystal Palace all day on Monday. Yesterday no signal in Kent where we live. Today a data connection for about 5 minutes then nothing. Talkmobile is useless. Never again !! Can somone tell me why I was able to make phone calls on all 3 days mentioned but not connect to the internet. only 2g in shrewsbury area no warning from vodaphone not much good ? My Talkmobile ihavehad no service since Febuary 6th I am a semi disabled person of 80 years and this is my life line for family and other thing like calling a taxi for – doctors visits, getting to church, shopping, hospital appointments and many more. I have been offered a refund of one months rental of 12.50 . They are braking their contract by not supplying the service they agreed . Can I now brake with this supplier and find another . Anyone out there having the same problem. I also sent myself a one word text which went through immediately. I tried to send an important text twice yesterday. The log just read ‘sending’. As the text was quite long, I sent it again as a note attachment with a short message. It still has a buffering symbol about an hour later. I rang my home phone to test and the phone did ring. Does anyone else have this problem? I cannot get the My Vodafone app to work with my Vodafone Smart Ultra 6 on Talkmobile. Constant ” We are having technical issues at the moment” message. Vodafone support tell me to contact Talkmobile. Talkmobile support tell me to contact Vodafone. no signal, have to take the mobile to the top of the stairs!!! Talk signal gone in Newport Gwent Somerton area…..
For the last month my signal just goes even if the phone does not move, it is coming to be very unreliable. I seem to be getting an intermittent service since last night 31st October this is the first time I’ve experienced this! Hope it gets sorted soon? I live in the ME12 area of Kent. I can’t get a signal 95% of the time and I might just as well not have a phone. Also problems in other areas of Kent. I’m hardly using any data because I hardly ever get connected – except when I’m using my own wi-fi at home !!!! No signal at home for 6 days and no updates from talkmobile. Had 3 hour long chats over period and had new SIM cards sent but no result. Understand other Vodafone users in area are affected and reported problem. Been over 12 years with Vodafone/ talkmobile and always decent signal indoors. Will have to change. Tried to send my friend a text message but it comes back failed, so i thought i would ring him and he said he got it even though it failed my end. Signal is very weak this morning, even sending text messages to my friends are random in the way where some go and some do not. Data coverage is really bad this morning, tried getting onto the internet but this proves to be a nightmare. I am in London, is anyone else having the same issue or is it me and my silly HTC One? I cant send send text messages with through Talk Mobile this morning. I will give it a couple of hours before i complain. Benefit of the doubt and all that. My service is perfect, sorry to hear you are having issues Leigh. It maybe just one of those weeks girl. Talk Mobile customer service is very good on Twitter, but yet call them and they are not. I should be able to cancel my contract because lack of service. If I stopped paying them half way through contract they would do something about it, so surely seeing as i am not getting the service i thought i was getting i could leave. Is it worth me taking out a Talk Mobile SIM plan, I am hearning mixed reactions about TM and its service, should i buy or run a mile? Having issues sending text messages at the moment. In Cumbria and even though last week I had no service, things seem to be all ok now. Signal is on and off but more on than off so i am happy. I havent had any Talk Mobile signal for like two days now. No calls, texts, Internet nothing.